Why are we ignoring Huawei ? This Chinese phone could just be a game-changer. In a world with incredibly advanced technology, there are many phones on your beck and call. Although, certain phones may be obvious outliers, like the Iphone XS, or the Galaxy S9 or S9+, there are other notable phones on the market that deserve your attention. The Huawei P20, and Huawei P20 Pro are among the best phones on the market right now, yet they are largely unpopular in the United States. Why is this? What exactly is Huawei and the Huawei P20? Huawei (pronounced wah-way) is a Chinese smartphone company. When the company was first created, it focused on selling cheap Android smartphones in China. However, those days have long since passed. Huawei has expanded its market across the global scene. According to CNET, the world’s leader in tech product reviews, the phone has reached the markets of over 170 countries. CNET’s March 27th article, “Why Some of the Flashiest Android Phones aren’t in the US,” Huawei is currently among the world’s largest telecommunications companies, building network infrastructure gear, mobile processors, and of course, smartphones. According to Gartner’s Newsroom Press Release on February 22nd, Huawei has climbed the ladder of success to become “the third-largest smartphone vendor behind that of Samsung and Apple”. Huawei’s smartphone that came out before the P20, and P20 Pro, the Mate 10 Pro, alone, is smart enough to drive a Porsche for a certain period of time. There is certainly no doubting Huawei’s technological capability, and popularity, so why does it remain largely unheard of in the United States? The answer to this question is rather complicated and extends to the matter of national security. The U.S. government has emphasized a distrust in certain aspects of the Chinese government, this is not new news. The U.S. has emphasized particularly the fear that the Chinese government could potentially be spying on us through our technical devices. Huawei is a Chinese company, and in such the U.S. government is hesitant to permit Huawei devices within the U.S.. The U.S. government has openly expressed concern that Huawei may be spying on us through its products, particularly through its telecommunication equipment. In 2012, the U.S. House of Representatives filed a report, “Investigative Report on the U.S. National Security Issues Posed by Chinese Telecommunications Companies Huawei and ZTE”. U.S. companies hence therefore were barred from selling Huawei products. On March 26th, 2018, Federal Communications Commission’s Chairman, Ajit Pai suggested a change in regulations that would prohibit broadband companies from using a government subsidy program to buy telecommunications equipment from companies that are believed to pose a national security threat. Huawei was not specifically mentioned, however, Pai, has previously written a letter to lawmakers containing his concerns about espionage threats from Huawei. Are Huawei smartphones, in specific said to possess any threat? No, committee members have actually specifically dictated that the threat does not include smartphones. You may be wondering, besides an inherent distrust of Chinese technical devices, why is there so much concern on the behalf of the U.S. government specifically with Huawei? Huawei’s founder and Chairman, Ren Zhengfei, was formerly a part of the Chinese military. This is a major red flag to the American government. And, despite the fact that Huawei attempts to downplay its military background, instead focusing on its many accomplishments, a distrusting relationship seems to have been permanently forged between the U.S. government and Huawei. So are Huawei phones safe? It is hard to give a straight answer to this question, but the rest of the world doesn’t seem to possess an issue with Huawei. Huawei also boasts relationships with some of the biggest carriers, corporations, and consumers in the global scene. Huawei, has vocally claimed, “We have earned the trust if our partners across a global chain”. Is it possible that Politics are playing into the government’s hostility towards Huawei? There is no way to know for sure. Yet, anti-Huawei behavior has peaked since Trump imposed approximately $50 billion in tariffs on China, following the infliction of new aluminum and steel tariffs earlier the same month. It may also be important to consider the fact that The Committee on Foreign Investment in the U.S. issued a warning to President Trump that Huawei could threaten America’s influence over 5G wireless technology. If the U.S. dislikes Huawei then how could I even get ahold of one, and why would I want to? Despite the fact that U.S. retailers don’t tend to sell Huawei products, they are easy to order online on websites like Ebay or Amazon. As for why the Huawei P20 and Huawei P20 Pro phones are desirable, there are many reasons. The phone possesses a long list of positive credentials. 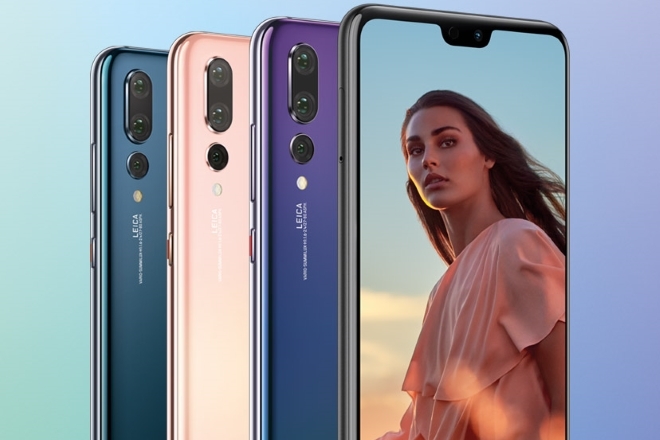 For one, the Huawei P20 and P20 Pro are available in an incredibly aesthetically new gradient color finish. Available in Twilight, Midnight Blue, Champagne Gold, Pink Gold, and Black, the Huawei phones possess a striking luminescent color progression, unavailable to any other smartphone on the market. The Huawei P20 Twilight phone produces a breathtaking aesthetic. 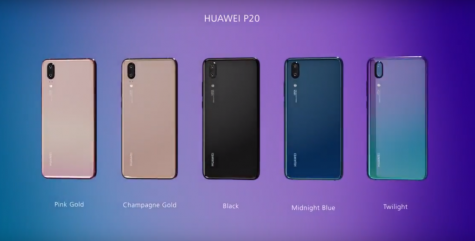 All of the available phone colors for the Huawei P20 and P20 Pro phones. The Huawei phones also possess the world’s first Leica Triple Camera. The Huawei P20 Pro’s Leica Triple Camera pushes the boundaries of modern creative mobile photography. Inspired by the kinetics of light as well as precision-engineered to capture detailed, the Leica Triple Camera possesses the capability of capturing rich atmospheric images regardless of the time of day or night. With then Leica zoom lens system, the Huawei phones are also able to achieve 5X Hybrid Zoom. This enables users to zoom in on a subject an incredibly far distance away and produce a detailed and accurate image. 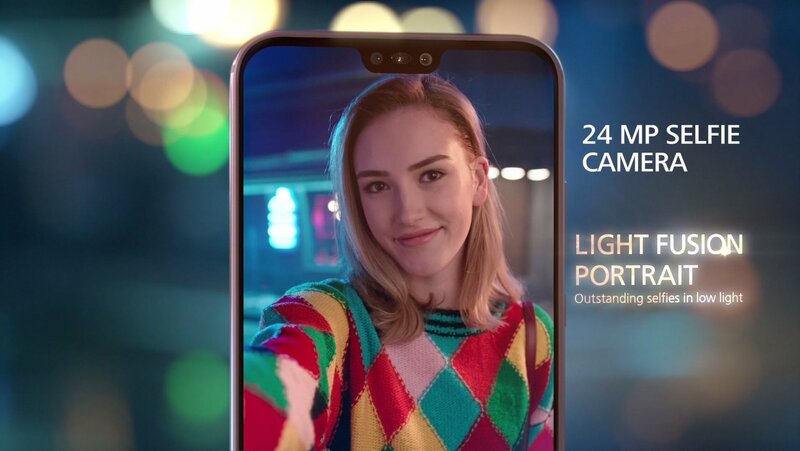 The Huawei P20 Pro features a breathtaking 40 MP RGB camera that was designed to create unparalleled levels of sharpness, color accuracy, contrast, and focus in smartphone photography. Huawei devices possess a 1/1.7 inch type sensor, enabling the phones to tackle low light and night time photography with extreme accuracy. The Kirin 970 chipset, powering the phones Al-driven photography, boasts new creative tools including instantly offered layout suggestions. Using the builtin AI at chipset level, the photography system is able to quickly recognize the scene and color balance accordingly. Support from the Master AI enables the Huawei phones to be able to identify 19 different categories of photos, and gear individual shots towards professional lighting, as well as other characteristics. Taking photos of others, or yourself is also a positive experience on these phones. They use their Al-driven 3D facial modeling technology to follow the natural contours of human features, and if so desired enhance them for a more flattering image. 3D Portrait Lighting additionally provides a portrait mode which further enhances detail on the human aesthetic. The phone also presents numerous other technological advantages on the forefronts of photography (links to statistics will be listed at the end of the article). Besides impressive specs the phone also possesses a huge battery, 4000 mAh**, which is almost double the size of the Iphone XS’s battery, and will remain charged for longer extended periods of time. 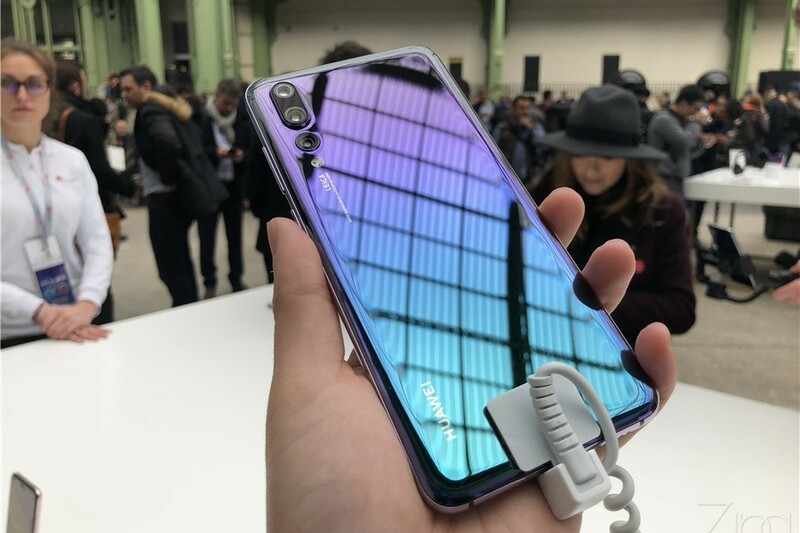 Lastly, the Huawei P20 and P20 Pro phones possess a Dolby Atmos sound system which possesses Premier 990 Kbps HWA that supports high resolution audio files so consumers can take pleasure in a Hi-Fi audio quality wirelessly via Bluetooth. A few parts of the Huawei P20 phone visually depicted. An example of a type of Portrait the Huawei P20 can produce. The question remains would you be willing to buy a Huawei phone? Junior Mariam Ghaloo conveyed, “Although the phone possesses numerous innovative qualities, the idea that the American Government is uneasy with Huawei makes me more inclined to lean towards the more traditional choice of Iphones”. Sophomore Isabella De La Zerda agreed, conveying, “I am not completely opposed to getting the Huawei P20 or P20 Pro, but I would like to do some further research. The brand is clearly very advanced, but with a founder and Chairman who was once part of the Chinese military, and the US concern over Huawei products I can not confirm that I am heading to Ebay to purchase the Huawei phone anytime soon”. Junior Nadejda Radoulov disagreed to an extent, professing, “the phone has some incredible characteristics, and it’s unclear if some of the American Government’s distrust of the products is partly political. Also, smartphones weren’t considered a threat really, so I am not as opposed to the idea of buying a Huawei phone. I think I will follow the news and see if anything pops up about Huawei and make my decision then”.